e design has built a long and successful relationship with Pineapple Interiors. We have created many pieces for them over the years and helped launch their website which is a gem in the home staging industry. Pineapple is not only a staging company but also has a large warehouse full of furniture and a big part of their business is leasing furniture to other stagers in the Denver area. 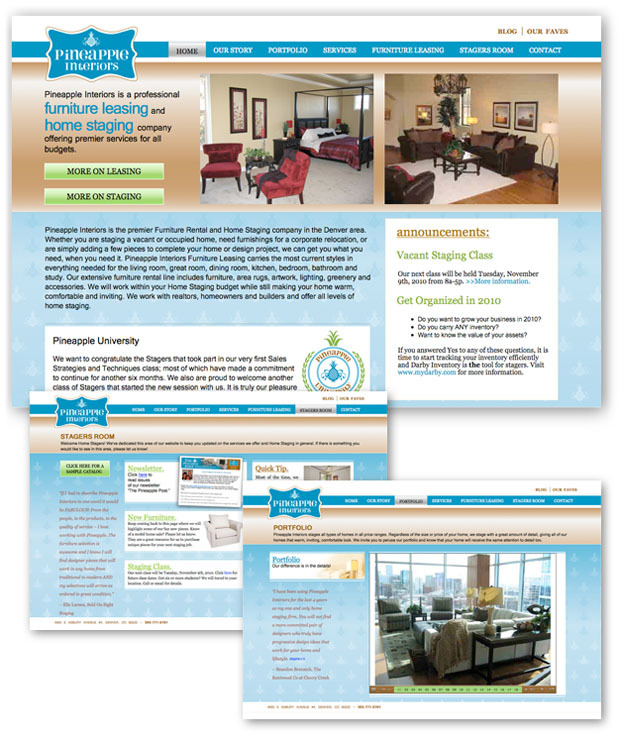 This website has a wealth of information about the company and also features a sample catalog for customers to see what type of furniture is available for lease.